On Sunday afternoon, Barcelona and Real Madrid will play out the 238th ‘El Clasico’. Real Madrid currently lead the way with 95 wins to Barcelona’s 92 but the victor of Sunday’s match is anyone’s guess. The form book would suggest a Barcelona win, particularly with Real Madrid currently struggling in 7th place. However we all know that in this match, anything can happen. With this in mind, we’ve curated 8 great deals you can find online today, so that you can show off your support for these two great clubs without breaking the bank. 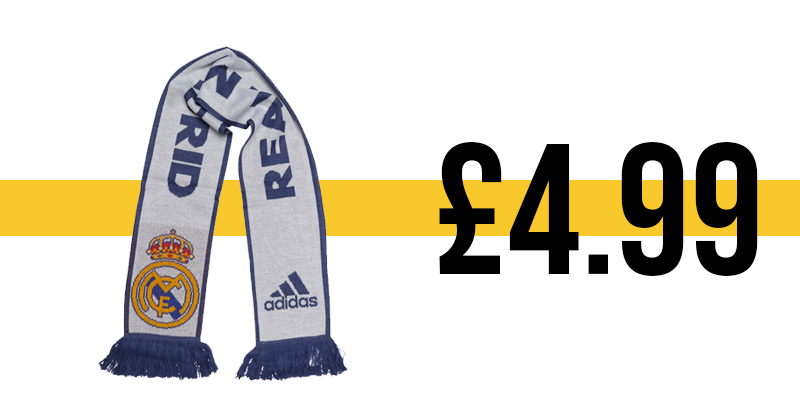 With the winter months fast approaching, this scarf is great to keep warm, but of course more importantly to show that you are a ‘Madridista’. Available for the cheap price of a fiver. This is the perfect jacket to travel to and from your Thursday evening 5-a-side matches, while also showing your support. This is for sale at a great price particularly as it usually retails at £65. A fantastic Real Madrid away shirt from the season Zidane took over from Rafa Benitez and led the team to a Champions League title after defeating rivals Atletico Madrid in the final. 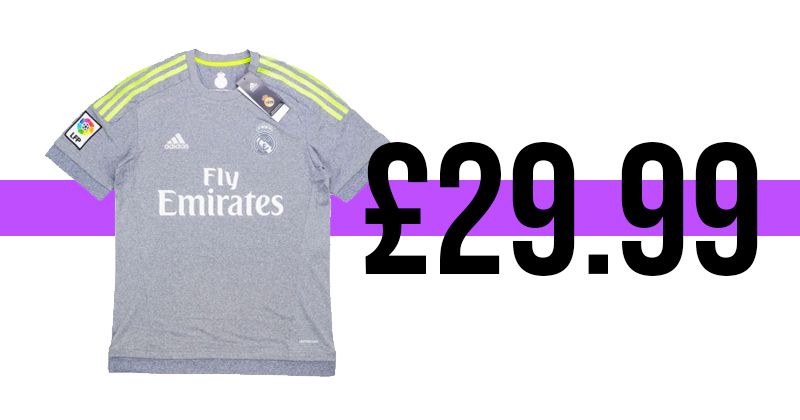 This Real Madrid shirt is available at a bargain price. This is the third shirt used during the season Carlo Ancelotti led the team to their 10th Champions League title, again defeating Atletico Madrid in the final. 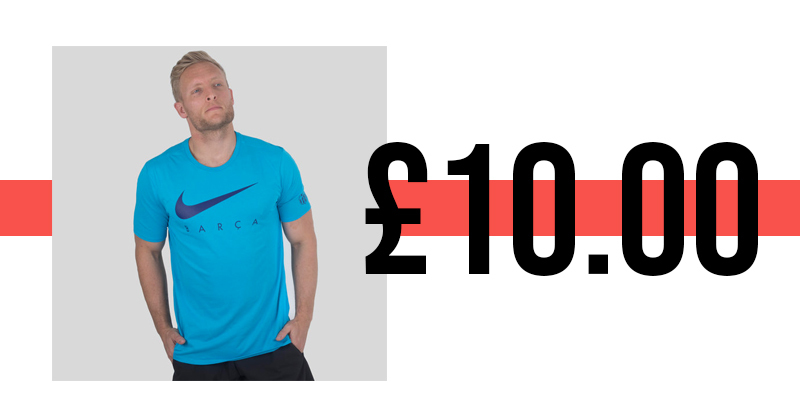 This is a beautifully simple t-shirt available at a fantastic price. When you want to show your support but at the same time be a bit more casual, this is the perfect shirt. 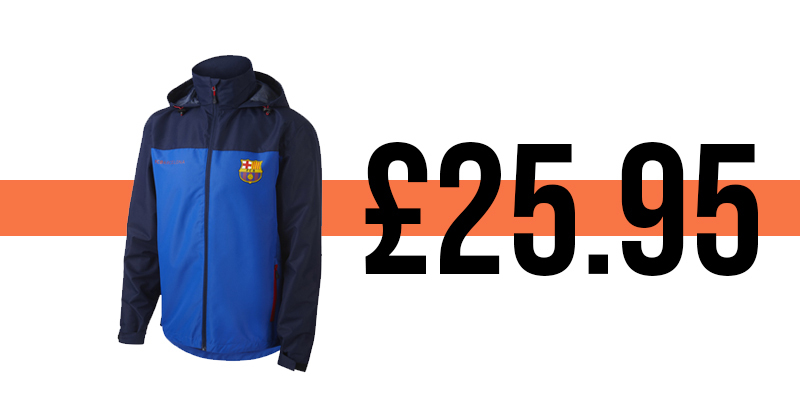 Even when you are not on the pitch, you can show your support with this beautiful jacket. Great in any weather condition and a good deal. 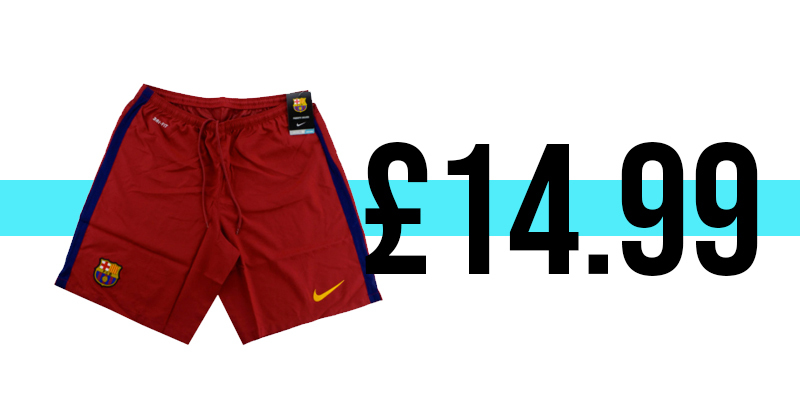 We all need a pair of shorts when we make our way down to the pitch for a kickabout, These home shorts, from the season Barcelona won both La Liga and the Copa del Rey, are exactly what you need, while still showing your support. In Luis Enrique’s second season in charge of Barcelona, the club used this stunning shirt for their away matches. It may look plain on the front but the back is dominated by a huge ‘Seynera’ flag, making it really stand out. 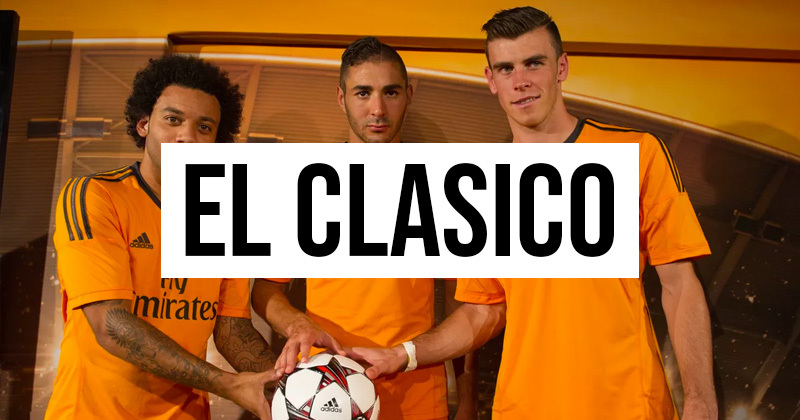 Enjoy the game, and remember to keep it here at FOOTY.COM for the best prices of Real Madrid and Barcelona gear. We compare prices and include the latest discount codes so you can rest assured you’re getting the best price.